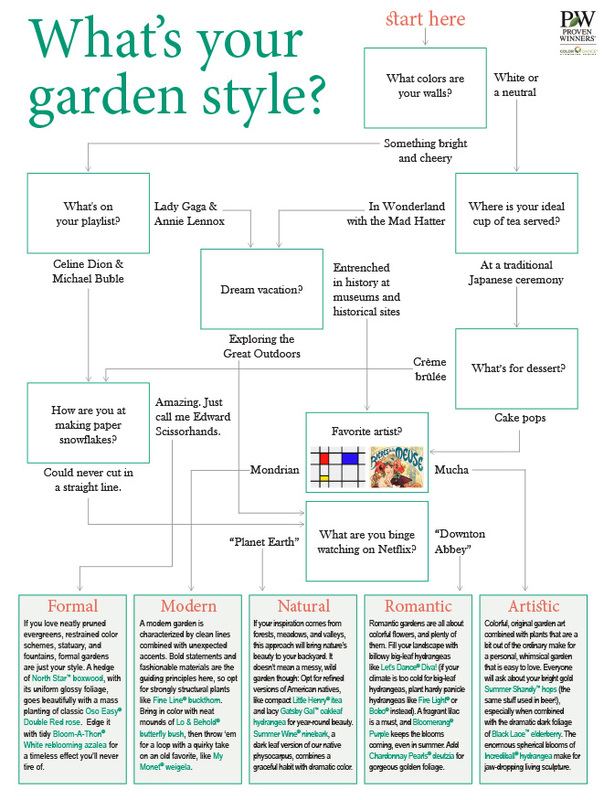 GardenSMART :: What's Your Garden Style? The beds are mulched, the bulbs are planted, and the bird feeders are filled. So what’s a gardener to do until the seed catalogs begin to arrive? You can start by taking this fun quiz to find out your garden style – it matches you up to one of five different garden types and offers a few plant suggestions that will help you complete the look. For more information, visit provenwinners.com.